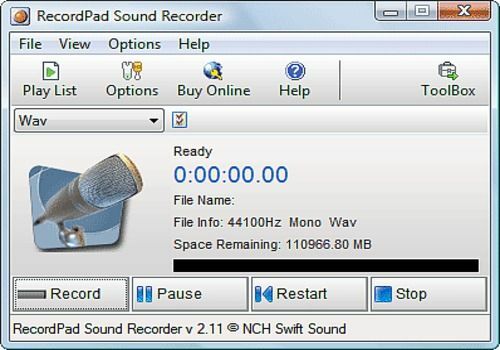 RecordPad is a sound recording program for Windows PCs. Using RecordPad you can quickly and easily record audio notes, messages, or annoucements in either wav of mp3.RecordPad is designed to be very easy and intuitive to use. Within minutes you will be able to start an audio recording, save it, and replay the file. Calcul de filtre audio d'ordre 2. ------------------------------------- Impression d'une fiche avec caractéristiques et notes.